After a spill at Saratoga in 1998 sidelined Mike Smith for seven months, he dedicated himself to becoming "the fittest rider in America." As his sport's biggest weekend approaches, 49-year-old Mike Smith has weathered the perils of his profession to become America's best big-money rider, popular among his peers—and even more popular with owners. The two jockeys sat together on the night of Oct. 14, watching playoff baseball on television and waiting for another day at the races. One of them was Mike Smith, a year shy of 50 and the best big-money rider in thoroughbred racing. The other was Drayden Van Dyke, just 20 and a rising star with a lifetime of racetrack afternoons in his future. The two had been housemates since the summer, when Van Dyke brought his tack to Southern California and Smith opened up a bedroom in his home in Sierra Madre. On this night they talked about food, because jockeys are always hungry, and Van Dyke rose from the couch to make a snack run to Whole Foods. He hadn’t made it to the driveway before he stopped in his tracks. “Oh, my God,” said Van Dyke. He turned and walked back into the house, ashen, looking down at his phone. That night Smith talked to Van Dyke about their sport. Van Dyke already knew plenty; his father, who died in August at age 43, had once been a jockey. Smith knows more than most. “I told Drayden, ‘This is a tough game, and you just don’t know what’s going to happen,’ ” says Smith. “ ‘What happened tonight to that young boy, you can’t let that get in your head.’ ” In 33 years on the racetrack Smith has started nearly 32,000 races, and before each one of them he has prayed for every rider to return safely to the jockeys’ room, blessing himself and pointing a finger skyward before walking into the saddling paddock. So on this night he dropped to his knees and said a prayer for Juan Saez. Six days after Juan Saez’s death, on a blue California morning, Smith lay on a weight bench with a bar racked and looming over his taut, 114-pound body. With the help of trainer Tony Vong, Smith pressed the bar 19 times, with ascending weight totals; the last was 200 pounds. Four years ago he bench-pressed 265 pounds. On each lockout Smith squeezed his face into a seething grimace, deep lines forming in his tanned skin and sweat rolling off his closely shaved head. It is a startling sight, such a small man shoving so much metal toward the ceiling, like watching a gray squirrel heave a shot put. And this is how Smith just keeps going. He spends his days in denial of athletic—and, given the perils of his chosen sport, human—mortality. “Mike has the body of a 30-year-old,” says Hall of Fame jockey and NBC analyst Jerry Bailey. “He’s the fittest rider in America.” Most days Smith rises and bikes three miles downhill from his house to the Matador Performance Center in Pasadena, where he runs and rides a stationary bike another six to 10 miles before digging into an hourlong weight workout that has humbled the younger jockeys who occasionally tag along. (When he’s done, he’ll bike home, three miles uphill.) On race days—Thursday through Sunday at Santa Anita Park, where he has been based since 2001—Smith will often run several miles in the deep loam of the racetrack before riding. In July, Smith rode Breeders' Cup Classic contender Shared Belief to an easy victory in the Los Alamitos Derby. Nearly five decades into his life and more than three decades into his career in a dangerous sport—a sport in which the human athletes deny themselves food and liquids (and often purge what they do consume) for the privilege of riding high-strung, 1,000-pound nonhuman athletes in packs at speeds upward of 30 miles per hour—Smith has never been better. “The guy is an inspiration,” says jockey Gary Stevens, who unretired in 2013 at age 49, in part because Smith, his longtime friend, was thriving. (Midlife riding success is rare but not unheard of: Bill Shoemaker won the 1986 Derby at age 54.) At this weekend’s Breeders’ Cup at Santa Anita, Smith expects to ride in eight or nine of thoroughbred racing’s 13 world championship races. 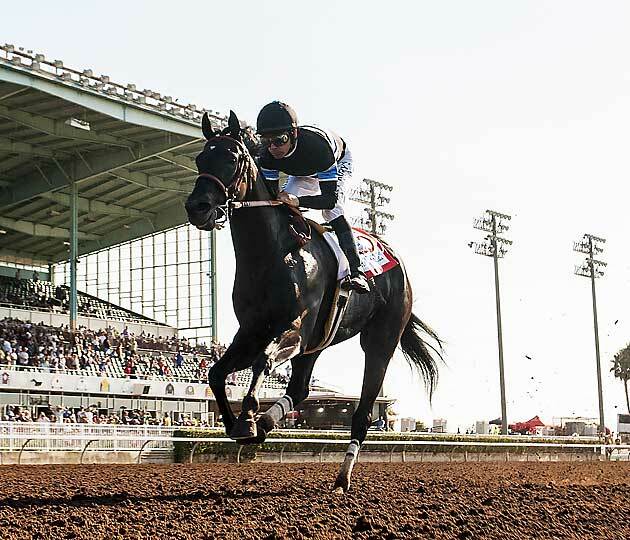 One of his races will be Saturday’s Classic on likely favorite Shared Belief, the unbeaten 3-year-old gelding who, with a victory, could steal Horse of the Year honors from Kentucky Derby and Preakness winner California Chrome (another Classic contender). Smith will be attempting to add to his 20 career Breeders’ Cup victories (including 10 from 2008 through ’13), most of any jockey. Smith ranks seventh this year among all North American riders in purses won by his mounts, with more than $11.3 million. (Jockeys get 10% of a purse, of which 25% typically goes to their agents.) But because he is late in his career, Smith rides sparingly, focusing his efforts on the biggest days and the biggest races, a strategy that preserves his body and maximizes the value of his wins. He is second in average purse earnings among riders with more than 20 starts (behind Stevens), taking home $24,181 per start through Sunday. The overall earnings leader, Javier Castellano, has won more than $21.7 million in purses but has started 1,190 races to Smith’s 468; Castellano’s average earnings per start is $18,313. Smith’s expertise flows from a career spent as the everyday rider on some of the best thoroughbreds in history. His mounts have included Holy Bull (1994 Horse of the Year) and Azeri (2002 Horse of the Year), and two-time Breeders’ Cup Mile winner Lure (’92, ’93). He has also won the Kentucky Derby (’05, on Giacomo), the Preakness (’93, on Prairie Bayou) and two Belmonts (’10 on Drosselmeyer and ’13 on Palace Malice). Smith was inducted into the Racing Hall of Fame in ’03. Yet he will always be best known for piloting the brilliant mare Zenyatta to 16 of her 19 consecutive victories from ’08 through ’10, and probably most of all for coming up a nose short in her final race, the ’10 Breeders’ Cup Classic at Churchill Downs. Running in darkness on a deep racetrack that she disliked, Zenyatta fell more than 20 lengths behind, before Smith urged her on a furious charge that nearly took her past race-winner Blame at the finish. In the aftermath Smith flogged himself for having dropped too far back and was near tears in postrace interviews. 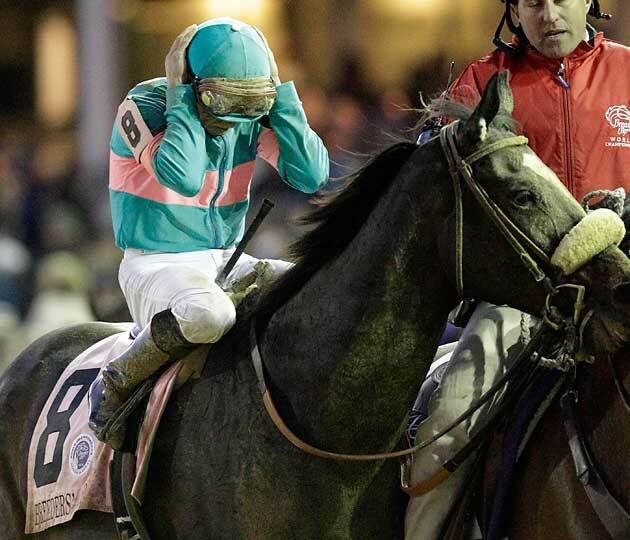 Smith was crushed after Zenyatta lost by a nose in the Breeders' Cup Classic at Churchill Downs in 2010. That one memorable defeat aside, Smith is known for winning races with an exquisite sense of timing. “His gift as a rider is letting horses find their rhythm, find their stride and then get them in the clear to make one run,” says Richard Migliore, who rode with Smith in New York from 1989 through 2001. “And he won’t use the whip until extremely late in the game, just to get that one, last little bit of energy out of a horse. I can’t tell you how difficult it is to build to that kind of crescendo.” Smith’s style has also been criticized by fickle railbirds. He struggled for months after a serious accident at Saratoga in 1998, and there were whispers that he had lost his nerve. Those whispers grew loudest after Zenyatta’s loss, absurdly so. Like so many jockeys, Smith sprung from a family immersed in horse culture. His parents, George Smith and Vidoll (Vallejos) Daniel, met in high school in Dexter, N.M., and married young. George became a jockey for a short time, and Mike was born to Vidoll when she was not yet 20. The couple divorced before Mike was eight, and he spent most of his youth with his mother’s parents, B.R. and Rosita Vallejos. They raised horses on a farm outside Dexter, and by 11, Smith was riding in match races under the tutelage of Vidoll’s brother Thomas. In 1982, when he was 16, Smith took out his jockey’s license and began riding a Midwestern circuit that included Oaklawn Park in Hot Springs, Ark., the now defunct Ak-Sar-Ben in Omaha and Hawthorne Race Course in Chicago. He was accompanied for several years by his paternal grandfather, Willie Smith. Mike says Willie sold the bars he owned near racetracks in El Paso and Ruidoso, N.M., to accompany his grandson on the road, before he died of a heart attack in Hot Springs in the mid-’80s. It was also in Hot Springs, in 1987, that Smith was married, to Patrice Lively, daughter of a jockey. That marriage ended in divorce, and Smith has never remarried. 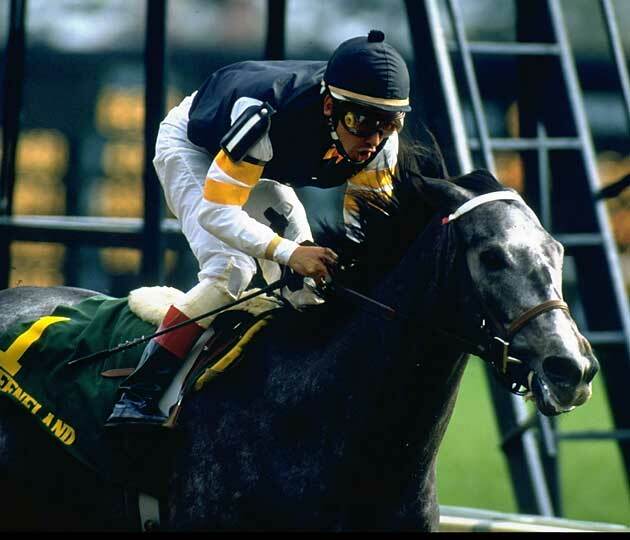 Smith won eight of 10 starts on Horse of the Year Holy Bull in 1994, including the Blue Grass Stakes. His career nearly ended in that 1998 accident at Saratoga, when the horse Smith was riding was shoved into a hedge on the turf course. The horse, a mare named Dacron, flipped over, tossing Smith into the air. He landed in a sitting position, and Dacron fell on top of him. He fractured two vertebrae in the middle of his back and spent two months in a body cast. He didn’t ride again for seven months. It was the worst of Smith’s spills, but for jockeys, the threat of a fall is always there, and the consequences are potentially tragic. He had begun serious gym training about two years before that accident, and he credits his conditioning for minimizing the damage. Now he trains not only for performance but also for survival.